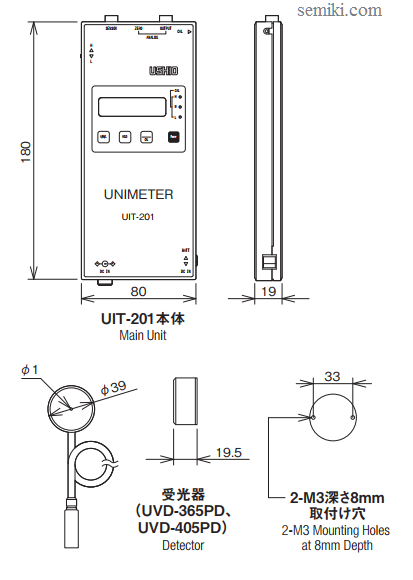 The Unimeter series was developed based on our experience and expertise as a manufacturer of optical equipment. 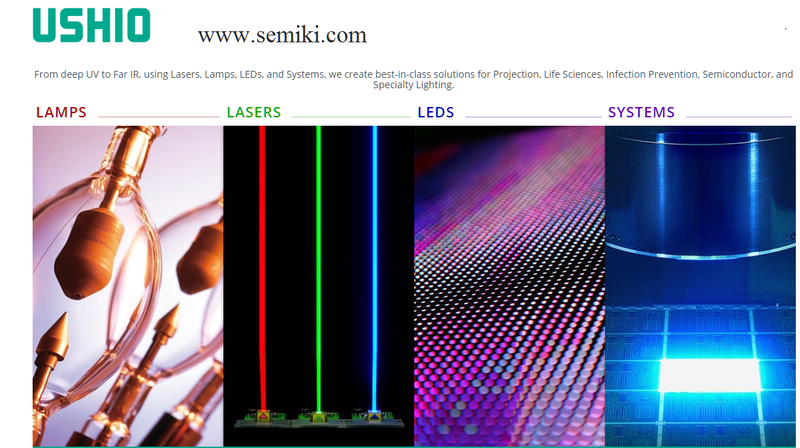 These compact optical measuring instruments are genuinely easy-to-use from the user's standpoint. 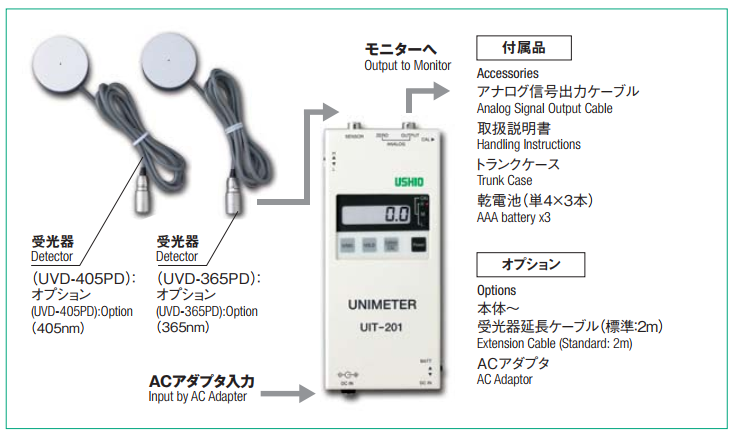 These compact UV meters are used to manage the intensity of a range of instruments, including irradiation systems, as well as UV curing, cleansing and sterilizing systems.Light receptor replacement allows illuminance measurements in two wavelength regions (centered on 365 and 405 nm). 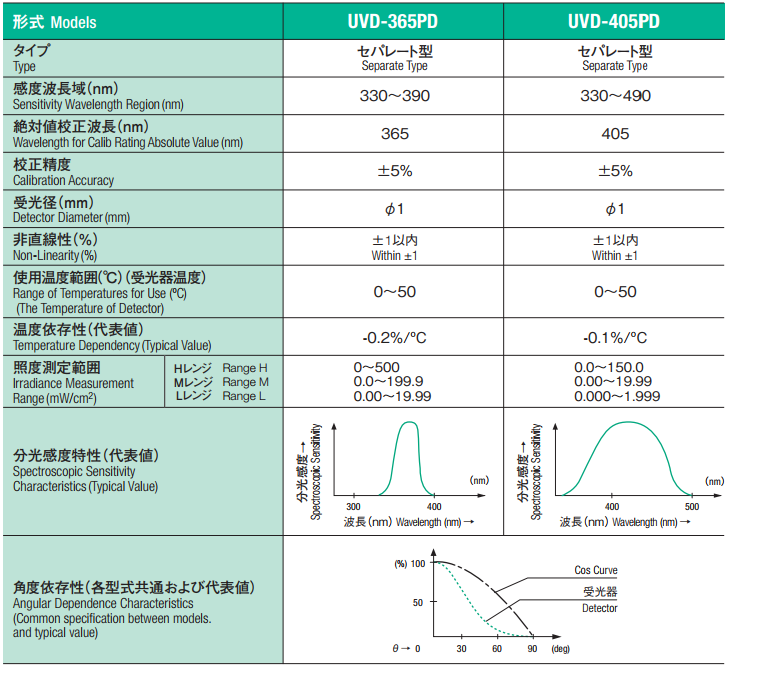 Absolute value measurement available. 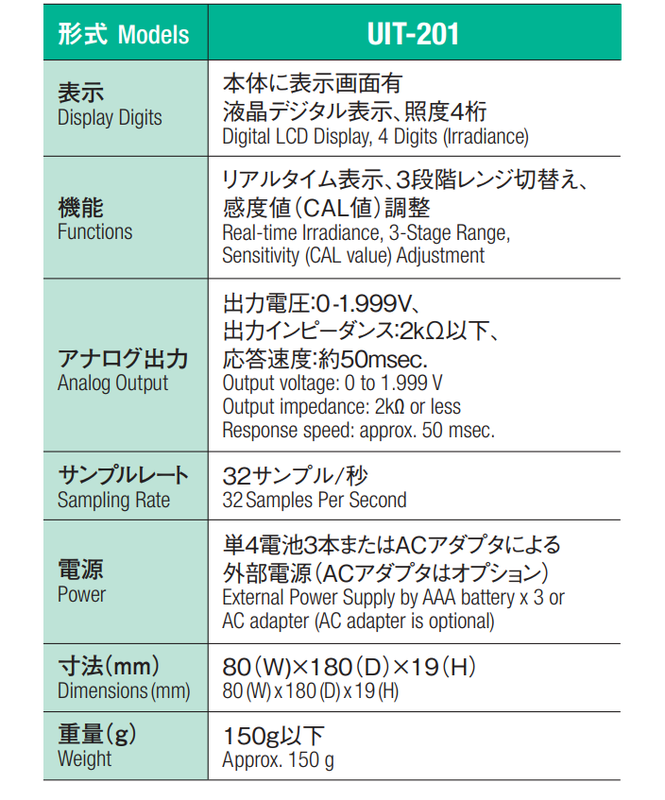 Analog output available. 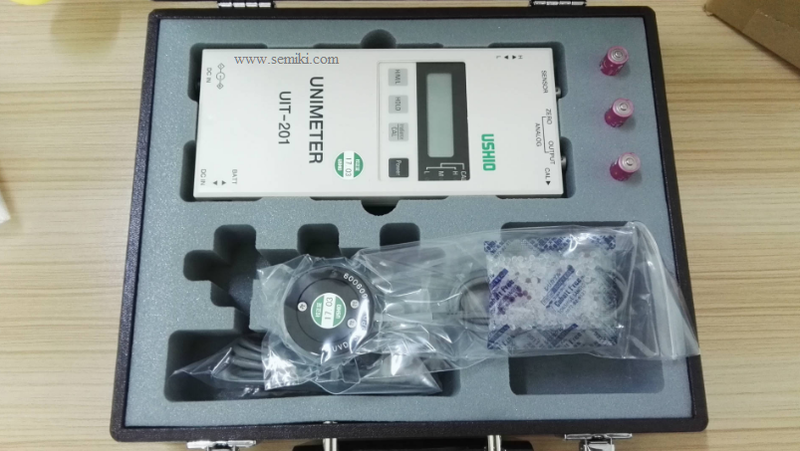 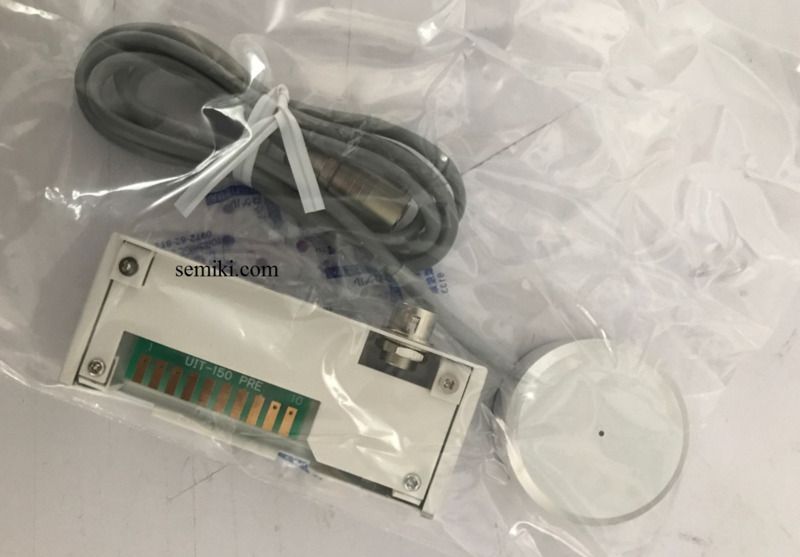 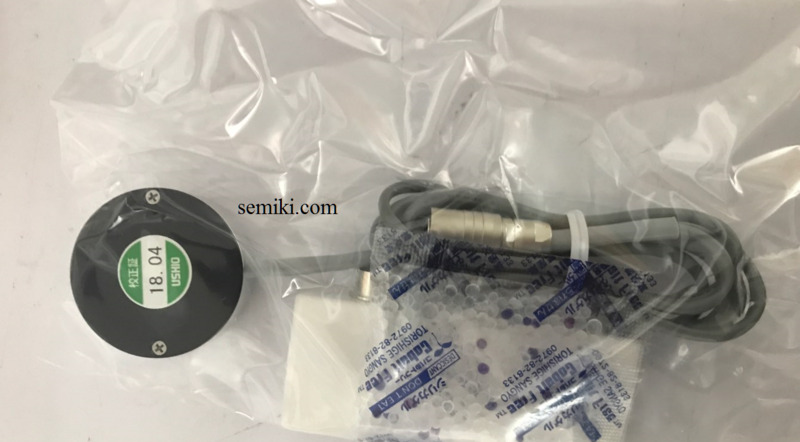 Picture: Ushio UV irradiance meter UIT-201 with detector at Semiki's warehouse.